Check out our rundown of the newest/recent songs that are most-popular with country radio stations this week! 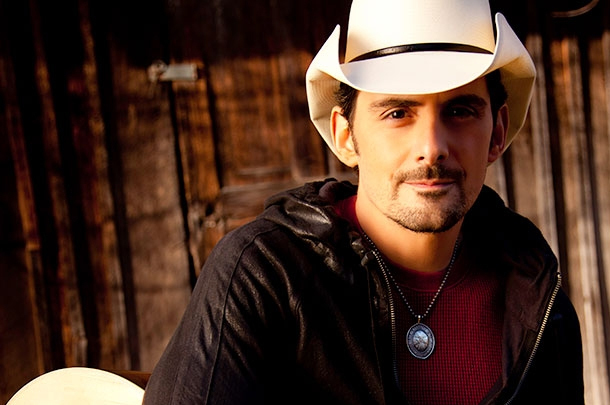 This week's chart is toplined by Brad Paisley's new duet with Demi Lovato, "Without A Fight." The powerful new track has 99 Country Aircheck/Mediabase monitored stations already on board, easily passing #2 single, Jerrod Niemann and Lee Brice's "A Little More Love" duet, which had 31 of 56 new adds this week. Cole Swindell and Maddie & Tae's latest singles "Middle of a Memory" and "Sierra, respectively, have 27 new stations on board with their latest hits while Craig Morgan's "I'll Be Home Soon" is at #5 this week, its first week trying to garner radio airplay. At #6 is Florida Georgia Line's new single "H. O. L. Y." with 149 of the 155 Aircheck/Mediabase radio stations listed this week. Kelsea Ballerini's "Peter Pan" is at #7 with 144 total stations on board while #8's Canaan Smith see's "Hole In The Bottle" on the full panel while Zac Brown Band's "Castaway" has 126 of the panel on board while Parmalee's new single "Roots" has 48 on board.